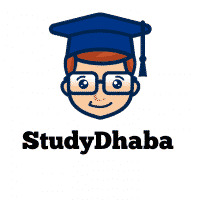 How to Read Hindu Editorial For IAS Preparation -Best Tricks – Hello Friends Welcome To StudyDhaba.com . Here We are Sharing Some Important Points About How to read the Hindu Editorial for IAS Exam Preparation . Practice previous years’ question papers & know the question patterns. Prepare List of All Important issues Asked In previous years Exams- Like Women Issues, Education, Environment ,Social Issues, International Relations related Issues, Govt Schemes related. Make Separate List of all Issues . Do not spend more than 1 hour with the newspaper. Any judgement or ruling /remark by the Supreme Court or the High Court is important. While you note the judgement, also understand its relevance in the syllabus. Relate it to the subjects i.e.,Geography /History /Economics/Polity. Identify the social issues or challenges being faced by the society as. Understand the pros and cons and also note down the recent incidents.You can quote them to substantiate your point. E.g. -caste riots ,moral policing ,restriction on freedom of speech,etc. Note down any issue being discussed in the Government by the departments/ministries. Understand the pros and cons of the issue. E.g. Linking rivers ,water conservation ,etc. Ministry /department under which it operates. Any constitutional provisions related to the policy. For the mains, you need to understand the issues related to the policy/scheme and make notes on the pros and cons of it. While reading the editorial , you need to identify the issues first .Then try to find out points in favour of or against it .Please understand that the editorials are biased towards one opinion. So,it is your duty to identify the points ,both for the topic and against it. Focus on the Issue not the news: Suppose there is a news headlined as “Supreme Court judge removed from his seat”. So instead of reading who is removed, what he did to be removed, when was he removed. etc. focus on “How a Supreme Court judge can be removed”, “What provision does our Constitution have for the removal of a judge from his seat”, “What effects could it have on our nation and upcoming generation” etc. Categorise the news: Divide the news or issues into a few categories like Environment & Biodiversity, International Relations, Personalities & Awards, Government Policies & Schemes, Economic Policies, International Organisations, Science and Technology, Health and Medicine, Miscellaneous etc. Matter in “The Hindu” is not enough in itself: Surf the internet and gather more information about the topics of importance.